In the past few weeks, water defenders in Guatemala have faced growing threats. Last Friday, Q’eqchi’ community leader Bernardo Caal Xol was unjustly sentenced to seven years and four months in prison in Cobán. He was convicted of illegal detention and aggravated robbery, despite contradictory and insufficient evidence presented by the Public Prosecutor’s office. Caal has been repeatedly targeted for his defense of the Oxec and Cahabón Rivers against a series of hydroelectric projects, which the communities around the rivers roundly rejected in a 2017 community consultation. While Caal faced criminalization in Cobán, the Peaceful Resistance of Ixquisis in northern Huehuetenango has faced sustained attacks and defamation. The Peaceful Resistance has stood in protest of three hydroelectric projects being constructed by Energía y Renovación, as well as the violence committed against them by state and private actors. This violence includes the 2017 killing of Sebastian Alonso Juan, which remains unsolved. On October 9, the Peaceful Resistance was attacked by the National Civil Police as they made their way to their resistance camp. Three days later, two members were shot and injured in two separate events committed by unknown actors. As the Peaceful Resistance continues to face violence, Rigoberto Juárez Mateo, Coordinator of the Plurinational Ancestral Government of the Maya Q’anjob’al, Chuj, Akateka, Popti and Mestiza Peoples, has faced near-constant defamation for his support of the Peaceful Resistance of Ixquisis and his many years of organizing to protect rivers in Huehuetenango. Juárez already spent sixteen months as a political prisoner for his organizing against the imposition of hydroelectric and mining projects in the region. Despite being freed in 2016, Juárez has been continuously defamed for his activism. In the midst of the violence and threats against indigenous water defenders, the Association of Communities for Development and the Defense of Land and Natural Resources (ACODET) released the following statement. We, the communities that live in the Chixoy and Copón Rivers watershed in the Ixcán, Uspantán and Cobán municipalities, under threat of the construction of the hydroelectric project Xalalá and other connected projects, view the criminalization of land defenders and the violation of our rights as Indigenous leaders with indignation. It pains us deeply that religious leaders would justify the greed of electricity-generating companies and would forget the suffering that those types of projects have caused in the lives of Indigenous peoples. For us as Indigenous Q’eqchi’ communities who depend on Mother Earth to survive, we are outraged that the dispossession we have suffered since the Spanish invasion continues. Defending life and territory is not a crime! We cannot remain silent nor can we forget the massacres committed against the 33 Achi’ communities during the construction of the Chixoy hydroelectric dam, nor the fact that, to this day, the reparations for those damages and the promises to bring development to the affected communities have not been carried out. We do not forget the deaths of four Q’eqchi’ brothers from Monte Olivo, Cobán, Alta Verapaz, including two children, for the sake of constructing Hidro Santa Rita. 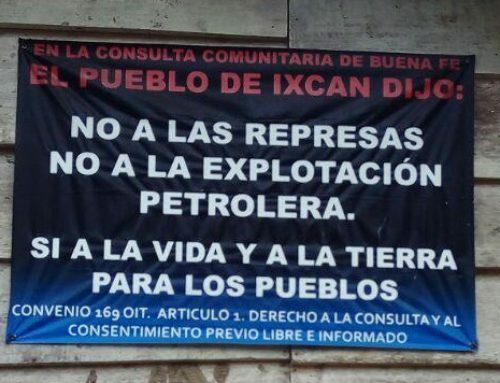 We reject the destruction of the Ox eek´ River in Cahabón, a sacred site for the Maya Q’eqchi’ people, as well as the seven-year, four-month long prison sentence against our brother Bernardo Caal Xol, handed down by a court in Alta Verapaz. We cannot remain indifferent to the destruction of the Pontila and Ikb´olay Rivers in the Laguna Lachúa conservation area. We cannot remain silent in the face of a wave of violence against the rights of Indigenous peoples, for defending the land that gives us food and the rivers that give us life. We are not against alternative energy generation. What we are against is the destruction of our sacred hills and rivers by large-scale transnational companies’ exploitation. We call on different sectors to inform themselves about the government and the companies’ plans and policies. We ask you to consider, energy for what and for whom? And at what socio-environmental cost? According to government sources, our country currently produces enough electricity to meet national demand until the year 2030. With an installed capacity of at least 2,700 megawatts, Guatemala is Central America’s main energy producer and exporter. To make matters worse, [the country’s] Electricity Generation and Transmission Expansion Plans discuss the construction of 67 new hydroelectric projects, particularly in the departments of Alta Verapaz (12), northern Quiché (7), and Huehuetenango (5), regardless of the damage and suffering caused by those projects to the life of the rivers and their communities. The energy that those hydroelectric projects produce is mainly destined for the export market, not to meet the needs of the population. That’s why none of the 82 communities of the Zona Reina in Uspantán receives energy from the national electricity distribution system, despite the fact that their territory has already been affected by the Chixoy, Palo Viejo 1 and Palo Viejo 2 hydroelectric plants, that ENEL’s Cuatro Chorros hydroelectric project is in the study phase, and that the company Hydro Energia, owned by the Asturias Degenhart family, is planning two other projects. We demand that the Guatemalan state respect the right to free, prior, and informed consent. The dialogue tables do not work because the State does not act in good faith, but rather through the cooptation of leaders, or false leaders, and because they understand dialogue and consultation as a simple negotiation to get us to sell Mother Earth in exchange for a few small projects. We ask the Catholic Church to try to understand our cosmovision and to respect our ways of development, our ways of life, and our decisions about our territories. We ask that you try to hear us through the Catholic Church’s principles, which seek to protect God’s creation and especially the lives of its poorest and most needy brothers and sisters. We encourage our sisters and brothers who are defending Mother Earth this very day. We say that no matter what the cost, we will not tire of ensuring the common good and defending our rights. RIVERS FOR LIFE, NOT FOR DEATH! WATER, LAND, AND ENERGY ARE NOT COMMODITIES! 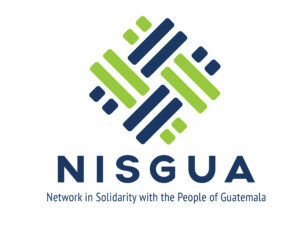 NISGUA has accompanied ACODET through their more than ten years of successful resistance against the imposition of the Xalalá Dam and all related projects. 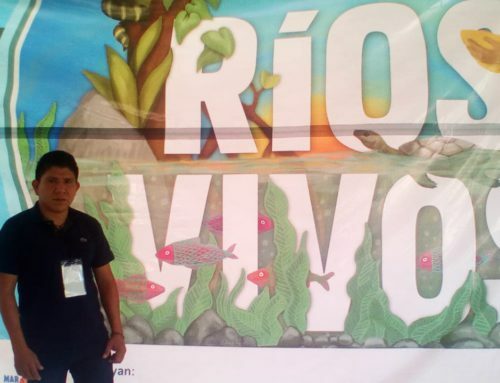 To learn more about the successful strategies ACODET has used to protect the Copón and Chixoy Rivers, follow the 2018 speaking tour, How to Stop a Dam with Indigenous Resistance, featuring ACODET coordinator José Gómez. 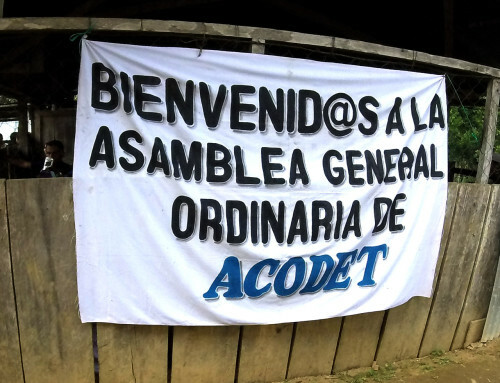 You can learn more about ACODET’s struggle through our live Facebook and Twitter coverage. You can also support their work by taking action to defend community consultations.